In the market for an iPhone but don’t love the pricing of Apple’s current iPhone lineup? There’s still hope for you — Decluttr is offering a “good” condition iPhone 6 for as little as $120 — which is an insanely low price for an iPhone, even if that iPhone is a few generations old. The model getting the discount is the 16GB unlocked Space Gray iPhone 6, so as long as you’re happy to deal with the lower amount of storage, the phone should be perfectly fine for most people. Of course, it is important to note that this deal isn’t for a new phone — it’s for a refurbished iPhone 6 that’s been deemed to be in “good” condition by Decluttr, which refurbished it. According to Decluttr, a device that has been deemed to be in “good” condition may show “moderate signs of wear and tear,” but has been fully tested to be in great working order. In other words, there may be a few scratches and bumps, but functionally the phone should work perfectly fine. In case you’re still worried about the condition, Decluttr offers a free 12-month warranty, so if you find that your phone isn’t working as it should, you’ll still be able to return it. The iPhone 6, in general, represented a pretty big shift for the iPhone series. 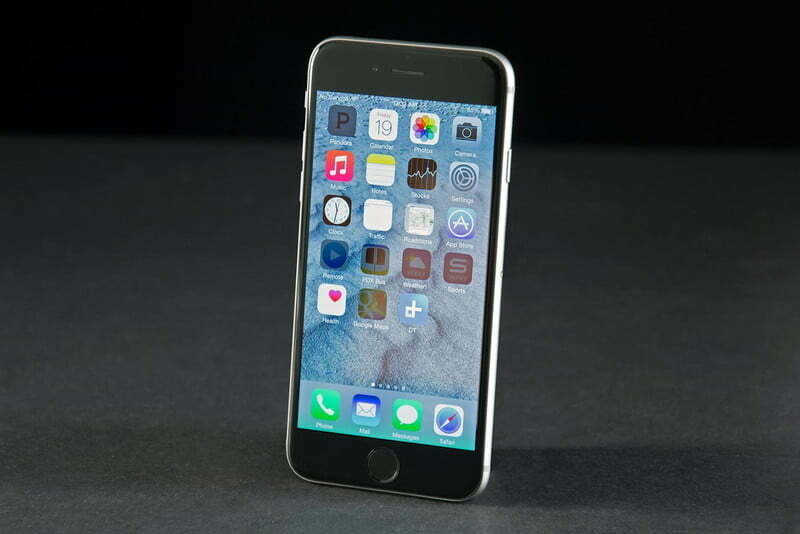 The device’s launch came after the successful iPhone 5s, which had a blockier and thicker build. The iPhone 6 brought more rounded corners, a thinner build, and slightly more refined look — and many of the changes that the iPhone 6 brought to the iPhone lineup can still be found in the iPhone series today. The iPhone 6 is compatible with the latest version of Apple’s mobile operating system, iOS 12 — which means that software-wise, you still get access to the awesome features Apple has to offer. iOS 12 offers things like a revamped notification system, performance updates, Group FaceTime, and more. It’s expected that the device will also get iOS 13, which is rumored to include a system-wide Dark Mode and improved multitasking features. iOS 13 has yet to be confirmed. You can get the discounted iPhone 6 from Decluttr using the link below.